1. The Penguin English Library collection. 2. Celebrating Mark's new job because it will make him happy and I'm so pleased for him. 3. Waking up with the morning sunshine softly warming my face. 4. Thinking about starting to make book videos. 5. Unexpected letters from my Grandfather. 6. Sleepovers - thank you time4sleep for the box of treats! 7. How clear the air feels after a thunderstorm. 8. Rediscovering my 'blogging identity'. 9. Peanut butter sandwiches. SO good! 10. Finally downloading Spotify again. Everything is better when there's music on in the background. That book is so beautiful! 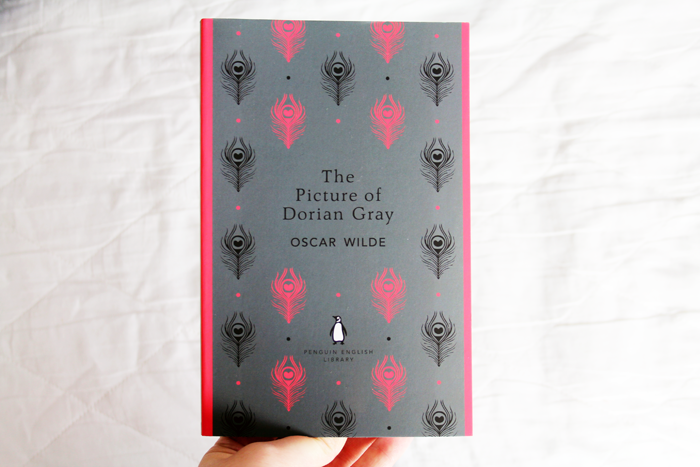 Love the cover of that book, it's so hard to find nice covers for the classics without paying through the ear! Haha, I just re-downloaded Spotify too! Currently bopping away in the library writing my dissertation :) Book videos sound good too; thanks to you, I discovered 'The Book People,' and I always enjoy reading about what you're reading! Lovely post Jennie - congratulations to Mark on his new job. I have also been loving the after following thunderstorms, it is just so beautiful! That book is so pretty! I love when cover designs are re imagined in a different way! This is such a great post! I absolutely adore that Penguin collection! :) I think you've tempted me to purchase a few that I have my eye on! Congratulations to mark on his new job :) and yes yes yes to anything and everything peanut butter! Spotify is one of the best inventions ever! Congrats to Mark on his new job. I also downloaded Spotify- really enjoying! So easy, too. I miss that post air feeling after a thunderstorm, storms in Michigan really never seem to clear the air. Peanut butter sarnies are my husbands favorite. I love the Penguin British Library collection too! So collectable. And Spotify is always a good call - I never regret downloading Premium just because I need the music to stay sane! I love, love, love reading about the little things that make other people smile. It's so nice to read about people appreciating the day to day moments that make life pretty great. I've loved the sudden rain showers this weekend - the air feels so clean and cool after, and I feel like sweaty and stressed! Are there many things better than sitting inside with a good book while the rain pours down outside? That sleepover kit looks amazing! I am itching for an old school sleepover now with face masks, girly DVDs and snacks. p.s. congratulations to Mark on his new job!